Contribute to King Lotor's Royal Contributions program for Very Important Persons (also known as VIPs) to honor the King and his battle against the evils that plague the lands of Dransik! VIPs get an extra 10% bonus for all experienced gained! This stacks with faction bonuses, server power hours, and personal power hours. Every month we'll give all VIP members a free grab bag of assorted goodies from the token store. This is a random grab bag but each one is guaranteed to be a great value! You'll be notified of your grab bag when you log in, with all of the items ready to use from the store! Each character on your account will receive 4 extra slots in their backpack. How convenient! 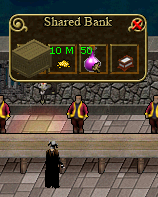 VIPs can use the Shared Bank - this is a separate four slot bank that opens when you speak to the banker. Any character on your account on that server may access it (except those on Valinor island). You can't transfer no-drop items to other characters, but other than that, use it like your normal bank! 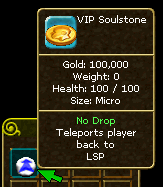 The VIP Soulstone teleports you to the portal area of Lotor's Summer Palace. Use it in a safe zone then wait 25 sec for the teleport spell to whisk you away to Lotor's Summer Palace! This stone won't degrade when you die and can't be damaged. VIPs are allowed to build player houses and guild halls, as part of the Construction expansion. If your VIP membership expires, we give you a 30 day grace period to renew before your home is foreclosed. Read more about the Construction expansion and player housing here. When you're in a party you don't have to stop to pick up treasure from the corpses, we distribute it to party members equally. But wouldn't it be nice to have that while hunting alone? VIPs can use the Auto Loot feature while hunting alone. Hit "ESC" then "GAME OPTIONS" and check the box next to "Auto Loot." Task Masters give you crafting tasks for excellent experience! You must be level 10 in their tradeskill to work for a Task Master. They will give you a box and ask you to fill it with items; as you create that item, it will be added to the box. When you are done, return the box to the Task Master. 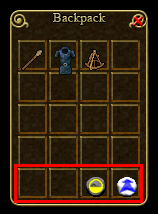 You may receive a task that is too difficult for your current crafting level; if so, double click to destroy the box and ask for a new task. Below is a list of the current Task Masters; the picture to the right shows where they can be found in Lotor's Summer Palace. 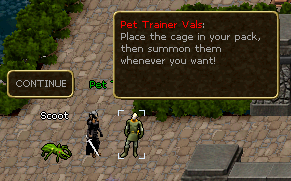 The VIP store in Lotor's Summer Palace sells pets to VIPs. You can summon these fun critters any time, anywhere with their token. They can't help you in combat but they'll follow you faithfully wherever you go! There are many pets to choose from: ant, triddle, bear, cat, dog, wolf, deer, bull, sheep, plague toad, chimp, tiger cub, young wyvern, and more. You can even give them a nickname; purchase an item rename (or use one from a grab bag!) and use it on the pet token in your backpack. There are two VIP only Content Packs for the Dungeons of Dransik expansion; The Ruins, and Mushroom Kingdom. Serve up some shrooms, gloom and doom in your maps! Any character on your VIP account can upload a map with this art. 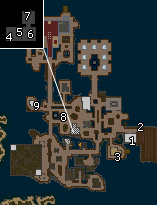 NOTE: You need a Dungeons of Dransik Map Slot to upload a map to the game. Outside of the game you'll get special only store offers and discounts for being a VIP. Check the store regularly to see what's new! Your support tickets will receive high priority status! Our support personnel will work with you one on one to resolve account and billing problems as quickly as possible. Sport some bling next to your name in-game with the VIP Diamond! It doesn't do anything, but it sure does look nice!